Missouri Education Watchdog: DESE Stifling More Debate About Common Core? DESE Stifling More Debate About Common Core? DESE doesn't like answering questions. That was evident in the May 2 statewide meetings that were designed to be "informational" only. DESE representatives were clear to the attendees that answers were not to be forthcoming but could be found within a week on its website. The answers still aren't there and the clock keeps ticking. Has DESE blocked James Shuls of Show-Me Institute for wanting to have an "old-fashioned" debate on the merits of Common Core? On May 3, I sent a tweet to the Missouri Department of Elementary and Secondary Education (DESE) and Commissioner of Education, Chris Nicastro. In the tweet I wrote, “I’m willing to have a good ‘ol fashion debate on the merits of #CommonCore. Missourians deserve that.” Apparently, state education officials aren’t interested in a true debate about Common Core, because I am now blocked from accessing the DESE Twitter page. The tweet was sent the day after DESE officials hosted eight meetings throughout the state regarding the Common Core. Each meeting was conducted in the same way. The moderators read from scripts and refused to allow open dialogue. At the meeting in Springfield, the moderator can be heard telling the audience that they are “welcome to go ahead and leave” if they didn’t like how the meeting was being conducted. I attended the meeting at Lindbergh, which was halted when citizens demanded to be heard. Many people’s take-a-way from these meetings was that DESE was not interested in a true debate of the issue; they were more interested in controlling the message. I have sent an email request to the commissioner and the head of the DESE communications department asking to be unblocked and to be told why my account had been blocked in the first place. We shall see what they say. For now, it seems like just another example of the department trying to stifle debate about the Common Core. Send this article to your state senator and representative. 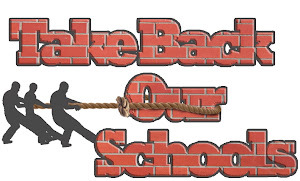 Since SB210 did not pass due to a filibuster threat, DESE is not being held accountable to any taxpayer or legislator on Common Core questions on cost or data retrieval. Why would a state agency funded by taxpayer dollars be allowed to block a taxpayer and educational writer/researcher from DESE's twitter account? Is this because he asked for a debate on Common Core? Ask your legislators this question. If indeed this blocking has to do with Shuls' request for a debate, this is the height of bureaucratic arrogance. If Common Core is so wonderful, why does DESE want to quash any serious discussion/questions about it? 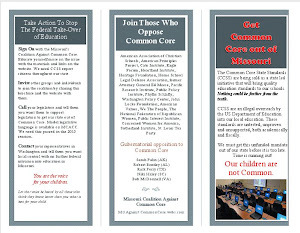 Why didn't most Missourians learn about CCSS when the Governor and the Commissioner signed on to the adoption of them in 2009? I guess you could tweet DESE and ask those questions but you may be blocked as well. You gotta love government transparency. It instills such trust in those bureaucrats in charge of educating your children.